David F. Klomp previously served as the chair of D|J|P's Banking Section. He is past president of the Real Property Section and the Banking and Finance Section of the Utah State Bar. He has worked for most of his legal career either inside the banking industry or representing banking clients in large commercial and real estate lending transactions. 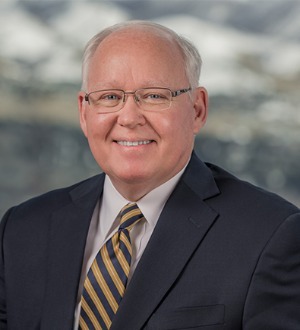 He is currently General Counsel for Associated Food Stores, Inc., the largest grocery wholesale and distribution cooperative in the intermountain area serving independent grocers. Klomp maintains an "AV Preeminent" rating with Martindale/Hubbell, which is the highest rating awarded to attorneys for professional competence and ethics.